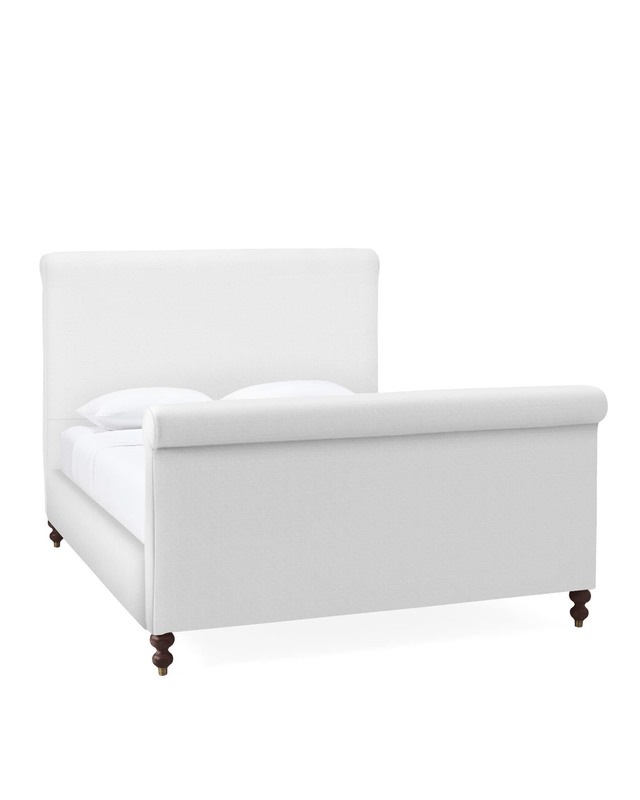 Cambridge BedCambridge Bed, alt="Cambridge Bed, "
Print We love to put a fresh spin on the traditional. 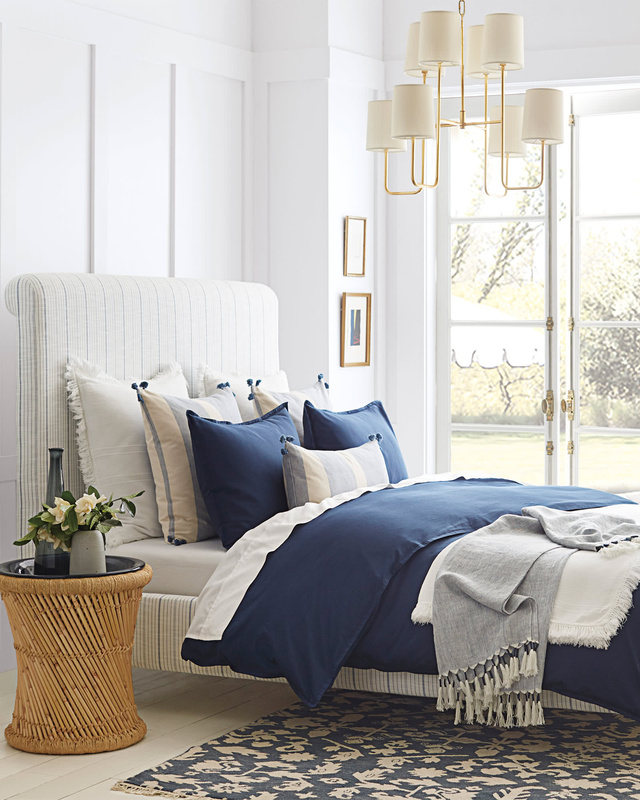 Here, the familiar sleigh bed gets a refresh with simpler lines for a more relaxed attitude. 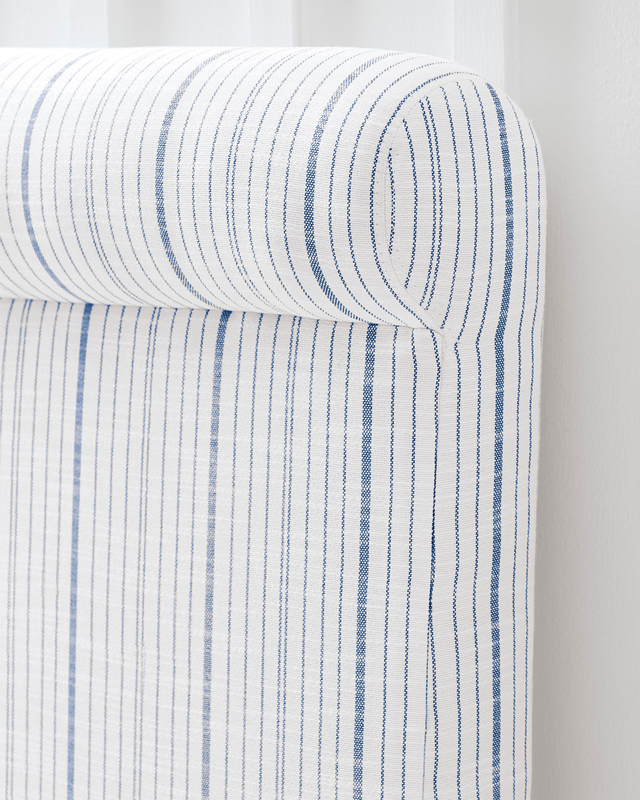 Play up the modern look with fabrics that are equally at ease – a chunky linen, a casual stripe – or lean into its classic pedigree with luxe leather or velvet. The fun is in finding your mix. Turned-wood feet add elegant character. 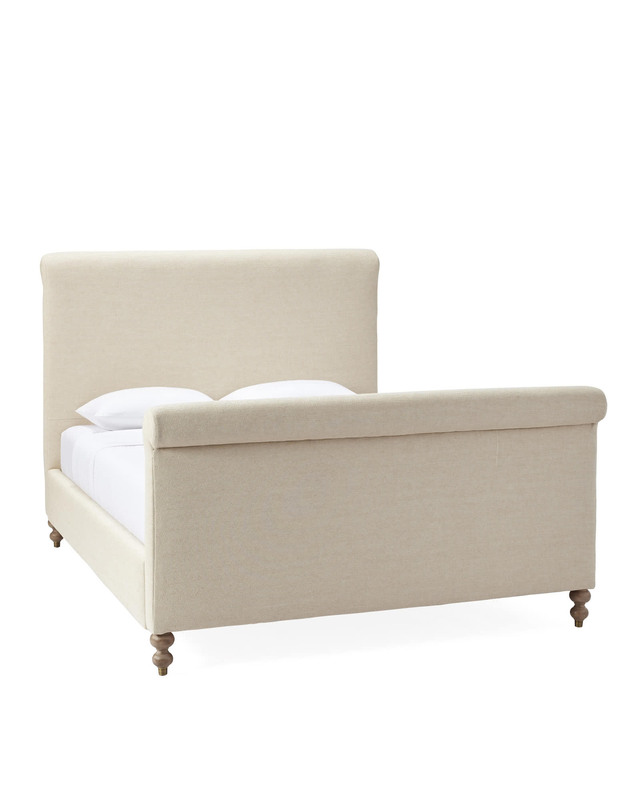 Box spring rests on a ledge recessed 6.5 inches from the top of side rail. If you prefer to limit the visibility of your box spring over the rail we recommend that you choose a low profile box spring. Twin: 45"W x 89"L x 55"H.
Full: 60"W x 89"L x 55"H.
Queen: 67"W x 94"L x 55"H.
King: 84"W x 94"L x 55"H.
Cal King: 80"W x 98"L x 55"H.